Nicknamed "Baby Boom," the galaxy, depicted by the green and red splotch, is churning out an average of up to 4,000 stars per year. Red depicts star formation. 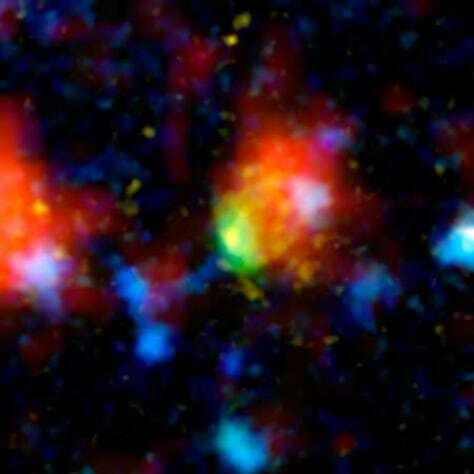 Green depicts gas in the Baby Boom galaxy.